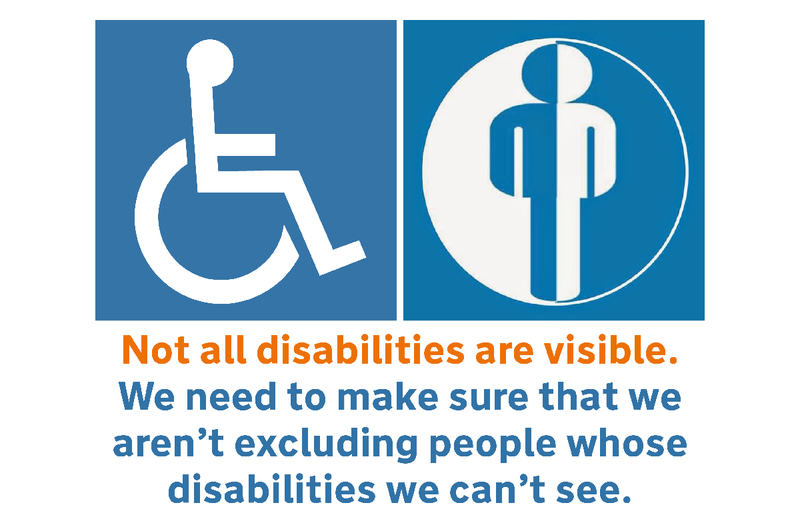 For our April event, join us to hear an expert panel discuss the length and breadth of what we, as wayfinding professionals, need to do to ensure that our work is as inclusive, accessible and disability-smart as possible. Kate Gilbert – Head of Business Development at Genius Within, has been with this social enterprise organisation since 2012, starting as a workplace coach and now heads up the business development team. Genius Within was established in 2011 to help people with neuro-diversity to fulfil their potential in employment and their careers. Kate is a level 5 qualified coach and a member of The British Psychological Society; The Institute of Learning and Management; and Institute of Employability Professionals. She is currently studying psychology with The Open University and takes a special interest in supporting disabled children. Christine Hemphill – Managing Director of Open Inclusion, has over 20 years experience in designing, making and improving products, services, teams and businesses. For the past five years she has focused on customer and workplace inclusion, digital design and inclusive brand experiences for all. As an economist by training and human-centred designer by practice, Christine also leads on economic value research for Open Inclusion, the accessibility and research solutions consultancy, assisting clients to understand the potential financial benefits of more inclusive approaches. Simon Hillier – Planning Director at Applied Wayfinding. Since 2003, Simon has delivered the research, strategy and design for major public realm, transport and cultural wayfinding projects around the world. Part of the original Legible London design team, he has since developed systems in New York, Toronto, Vancouver, Singapore, Paris and Qatar. With a particular passion for inclusive design, Simon currently provides wayfinding support for Building Regulations: Part M, and represents the Sign Design Society on the British Standards Committee for Accessible and Inclusive Environments. Delphine Leveneur – Senior Disability Consultant at Business Disability Forum (BDF), since 2017. She has more than ten years’ experience in the sector, working in the UK and abroad. At BDF, Delphine supports British and multi-national organisations on projects including: reviews of workplace adjustments, usability and employee engagement; the development of toolkits for global companies. She is also a strategic adviser to partner companies including Bank of America Merrill Lynch, Cisco, Enterprise Rent-a-Car and Microsoft. Delphine has a degree in Biology and an MSc in Technology and Disability. Throughout her career, she has acquired in-depth knowledge of assistive technology, web accessibility and accessible communication. Chris McGinley – Research Fellow at the Helen Hamlyn Centre for Design and leader of Age and Diversity projects, is an award-winning designer, researcher and writer. Chris has pioneered innovation approaches combining empathy and design ethnography to inform research driven people-centred outputs. He has successfully delivered an extensive range of outputs across design disciplines for clients, such as GlaxoSmithKline, Osaka Gas, The Home Office and The Department of Health, which have been commercialised, disseminated and exhibited internationally. He has published extensively in the area of people-centred design, and delivers lectures in settings such as Imperial College (London) and Kyushu University (Japan), in addition to regularly delivering keynotes and executive education in industry, government and public-sector settings. His twitter (@mhirror) account reflects his interests outside of work: mischief with his boy, ’80s flicks, alternative rock and crafty beverages. This talk is free for SDS members and £25 for non-members. Anyone wishing to attend, please email our administrator Kate at enquiries@signdesignsociety.co.uk to register. If this is your first SDS talk/event, you can request a special ‘taster ticket’ @£10 (payable on the door, or by invoice by arrangement with the SDS administrator). All tickets include nibbles, soft drinks and wine. Please note: This event will be livestreamed and available to SDS members in real time via our SDS Live Facebook account.